For a brief period of time I was interested in poetry. And correct me if I’m wrong, but it’s almost a dying art. My guess is that words in music have become our modern poetry. 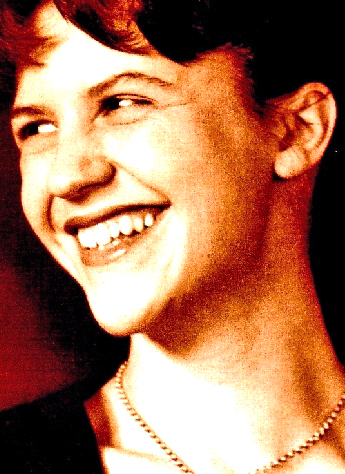 Back in my Junior or Senior year of high school, I became attracted to Sylvia Plath. It probably wasn’t her poetry so much as her tragic story. Truly the tortured artist it seems, attempting suicide more than once until succeeding in 1963. I have done it again. One year in every ten I manage it–/A sort of walking miracle, my skin Bright as a Nazi lampshade, My right foot/ A paperweight, My face featureless, fine Jew linen/ Peel off the napkin O my enemy. Do I terrify?– /The nose, the eye pits, the full set of teeth? The sour breath Will vanish in a day/ Soon, soon the flesh The grave cave ate will be At home on me/And I a smiling woman. I am only thirty. And like the cat I have nine times to die/This is Number Three. What a trash To annihilate each decade/What a million filaments. The peanut-crunching crowd Shoves in to see/Them unwrap me hand and foot– The big strip tease. Gentlemen, ladies/These are my hands My knees. I may be skin and bone/ Nevertheless, I am the same, identical woman. The first time it happened I was ten. It was an accident/The second time I meant To last it out and not come back at all. I rocked shut/As a seashell. They had to call and call And pick the worms off me like sticky pearls/Dying Is an art, like everything else. I do it exceptionally well/I do it so it feels like hell. I do it so it feels real. I guess you could say I’ve a call/It’s easy enough to do it in a cell. It’s easy enough to do it and stay put. It’s the theatrical/ Comeback in broad day To the same place, the same face, the same brute Amused shout:/ ‘A miracle!’ That knocks me out. There is a charge/For the eyeing of my scars, there is a charge For the hearing of my heart– It really goes/And there is a charge, a very large charge For a word or a touch Or a bit of blood/Or a piece of my hair or my clothes. So, so, Herr Doktor. So, Herr Enemy/I am your opus, I am your valuable, The pure gold baby/That melts to a shriek. I turn and burn. Do not think I underestimate your great concern/Ash, ash– You poke and stir. Flesh, bone, there is nothing there– /A cake of soap, A wedding ring, A gold filling/Herr god, Herr Lucifer Beware Beware/Out of the ash I rise with my red hair And I eat men like air.